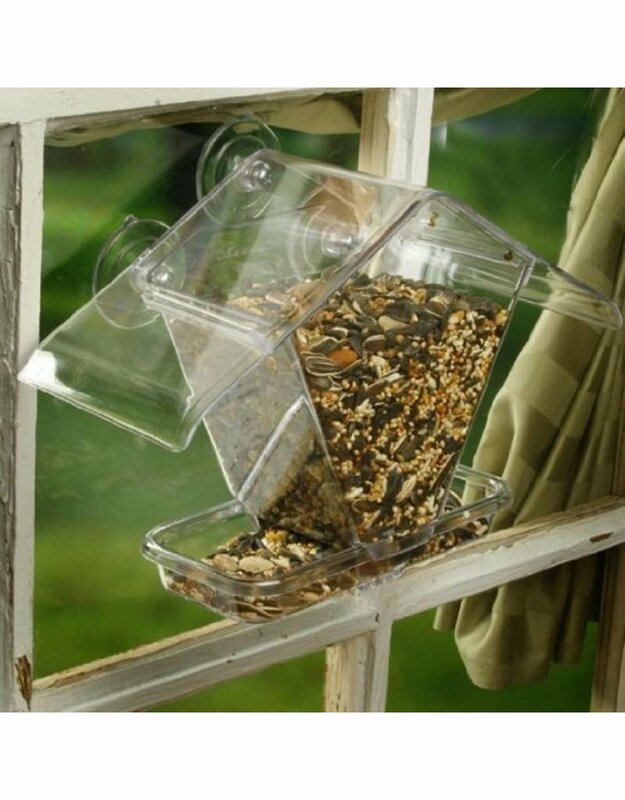 This easily assembled window feeder allows for up-close observation of behavior and feeder habits. 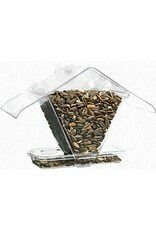 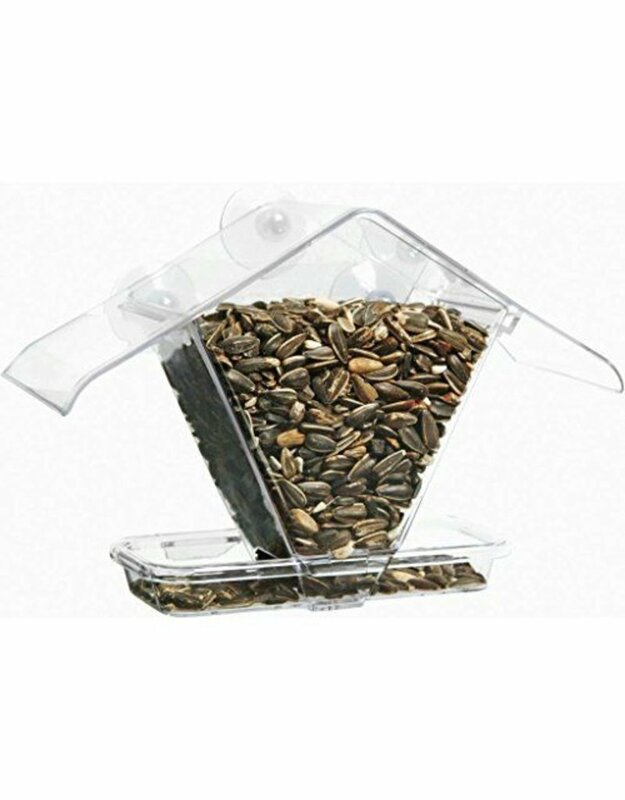 The seed hopper is removable for easy cleaning and filling. 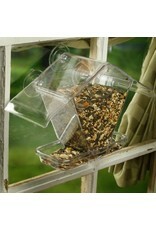 The suction cup mount secures the feeder to window. 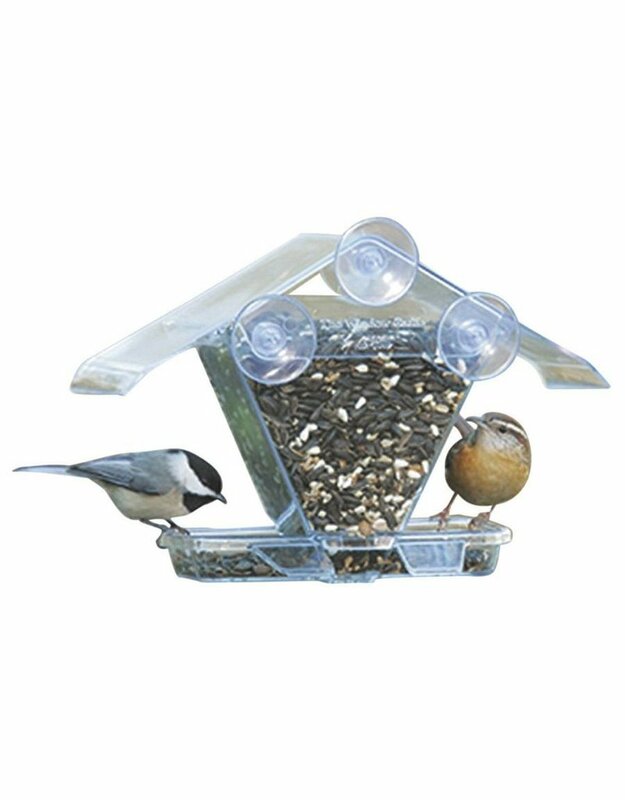 A clear roof over hangs the seed tray to protect seed from rain. Dimensions: 9.5" x 7" x 4"